We all love to go out and get a bite to eat. Whether we are sitting down and enjoying a meal with family and friends or grabbing a burrito on the way home from a surf or work, our local restaurants nurture us with good food and provide meeting spaces to enjoy good company. But more than just this, restaurants can also play a critical role in stopping the epidemic of plastic pollution in our oceans. 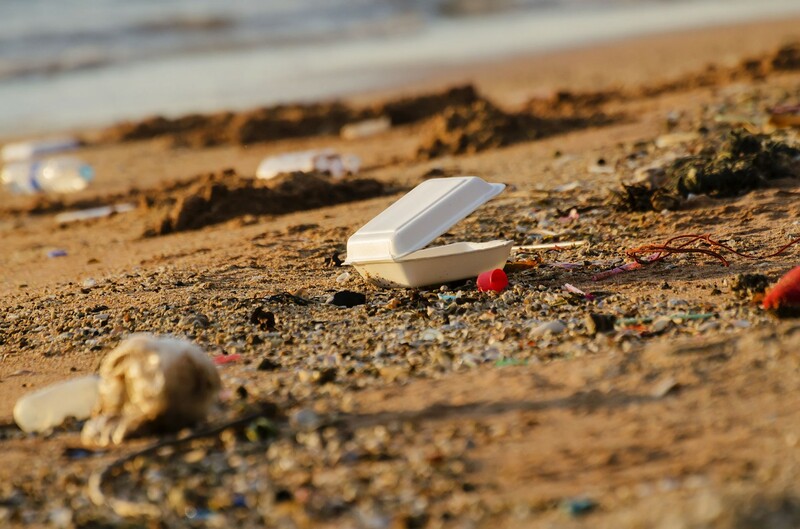 The majority of the plastic production worldwide is destined for packaging and products from restaurants like foam take-out containers, straws, lids, and food wrapping are the most abundant plastic litter items found on our beaches. Therefore, the practices and products that a restaurant employs can help turn off the tap for the plastic streaming out into our waterways and coastlines. Out of this realization, the Surfrider Foundation launched the Ocean Friendly Restaurants program as a grassroots business approach to reducing plastic pollution and emphasizing other practices that protect our oceans such as energy efficiency, sustainable seafood, and minimized water use. Surfrider chapters across the country engage the local restaurant community by educating about plastic pollution, consulting businesses on best practices for the oceans, and help them transition to materials that will truly biodegrade and cause the least amount of harm to our treasured coastlines and oceans. 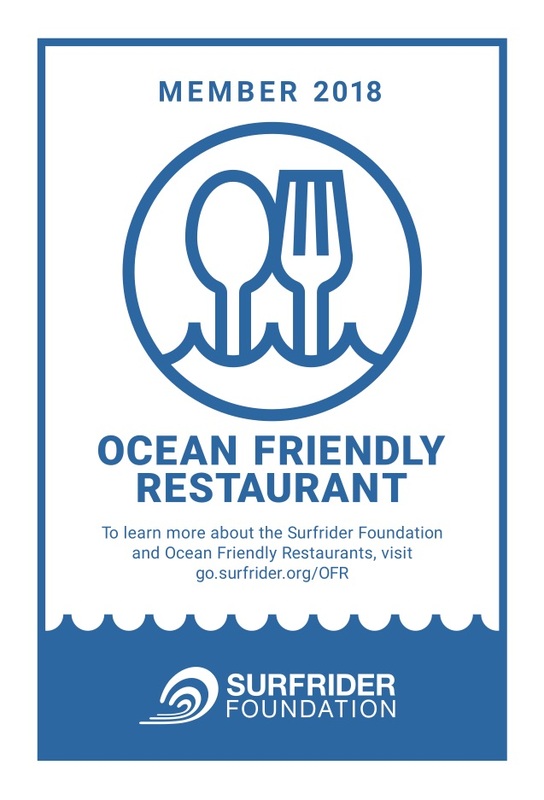 The restaurants that qualify and pass the ocean friendly criteria are in turn rewarded with an official recognition by the Surfrider Foundation and can proudly display their commitment to the ocean through window stickers and other materials. Surfrider chapters across the country have been engaging with their local restaurants and helping them to highlight or make the switch to ocean friendly practices. At 70 different locations in California, Washington, Hawaii, New York, Florida, Oregon, Delaware, Texas, South Carolina, Maryland, New Hampshire, and Maryland you will find a registered Surfrider Foundation Ocean Friendly Restaurant. Some restaurants have been so enthusiastic about the program that they have adopted all 10 program criteria to be recognized as a "platinum level" Ocean Friendly Restaurant. In Corpus Christi Texas, the Surfrider Coastal Bend Chapter registered their first Ocean Friendly Restaurant at the Texas State Aquarium as a platinum member. 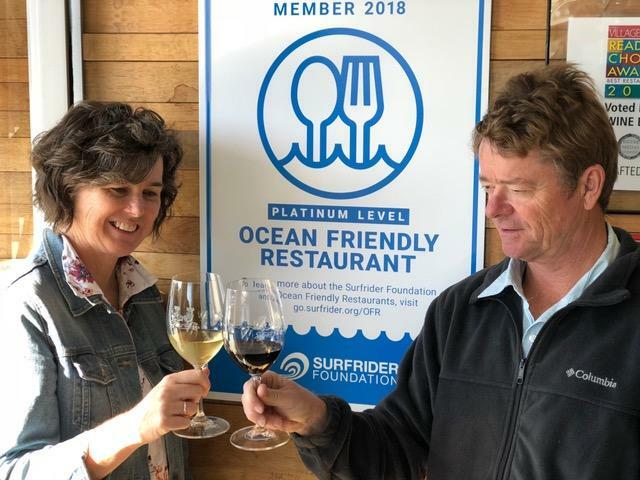 The San Diego Chapter worked with LJ Crafted Wines and based on criteria reached, has elevated their state as a platinum level leader for Surfrider's Ocean Friendly Restaurants. 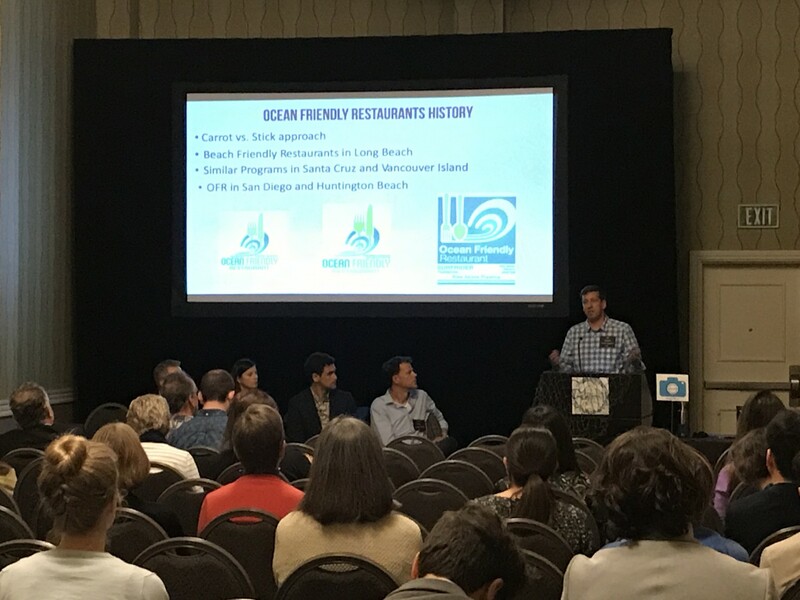 At the Sixth International Marine Debris Conference earlier this month, the Ocean Friendly Restaurants program was presented to an international audience and many great ideas for moving the program forward nationally and globally were discussed. Some future developments include partnerships with other sustainable certification and recognition bodies, mobile applications that allow a customer to find an OFR close to them, preferred vendor partnerships that give restaurants access to quality and affordable alternative eco-friendly packaging materials, and ideas for spreading the concept around the world. The Ocean Friendly Restaurants program is picking up steam and Surfrider has set the goal of registering 500 restaurants in 2018 to create scalable impact and reduce plastic pollution at the source. If you are interested in the program, check out the OFR webpage and connect with your local Surfrider chapter to participate. The Surfrider Foundation is also honoring a special 50% discount for restaurants that sign up before April 22, Earth Day. For a small annual fee of $62.50 for a business with 1-20 employees or $87.50 for a business with 41-60 employees, restaurants can receive all of the great benefits of being part of the OFR community and protect their local beaches and coastlines at the same time. The Ocean Friendly Restaurants program is showing that the power of community, the love of our ocean and coasts, and forward-thinking business practices are essential ingredients that can move us towards a future with less plastic in our ocean.